Take the road that leads toward the Mexican Mountain Wilderness in central Utah, which is situated west of Green River. 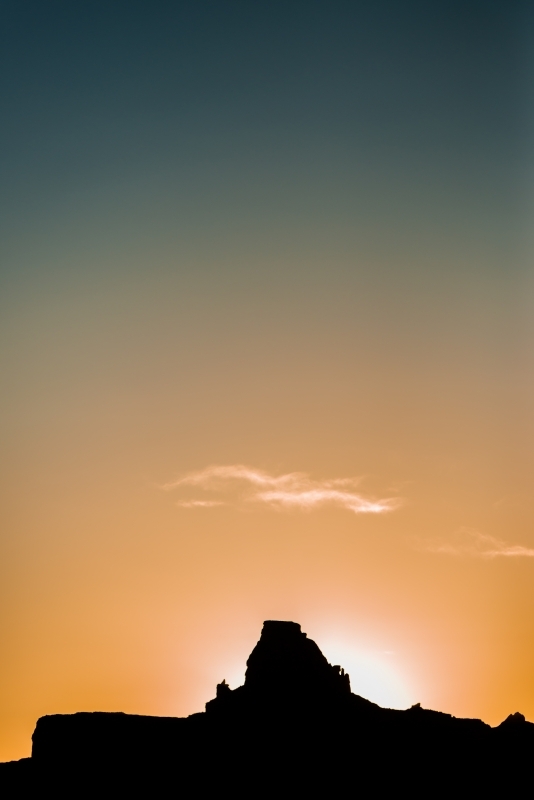 After shooting the sun burst behind this butte, I watched as the glow created a beautiful silhouette. I have recently tried to capture the post-sunset colors of the desert, especially the deep blues, and attempted that here.